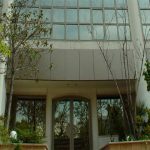 Abtin Residential Building is located in a quiet neighbourhood the heart of North Tehran close to Vanak Square. 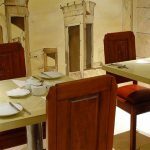 Many of the city’s best restaurants, cafés and shopping centers are within walking distance of the hotel. We are also well-placed for those with business out of town, being close to an important highway junction. This unique hotel places you in the midst of one of the city's most lively areas, and will be your gateway to business and pleasure in the city. Each floor of the hotel has four guestrooms and contains adjoining suites that can be converted into a two-room suite. At Abtin Residential Building, nothing is more important to us than the experience you receive. 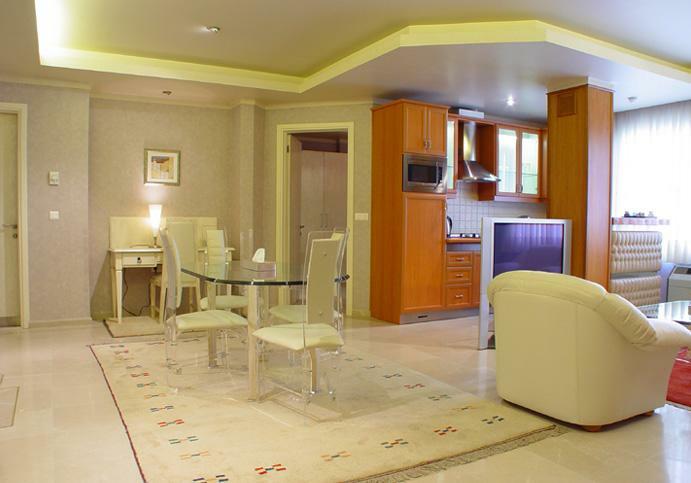 We invite you to relax as you enjoy the very best in Tehran hospitality. Our dedicated staff are constantly seeking ways to enhance your stay in one of the city’s most elegant and reputable destinations. 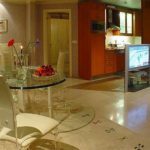 20 single bedroom apartments stylishly designed with all the amenities you should expect from a premier hotel with all the character of a boutique hotel. Guestrooms are designed with the guests’ total comfort and convenience in mind and are categorized according to their size and type as: Standard,Medium and Large. Discover the height of personal luxury at Abtin Residential Building.Abtin Residential Building is located in a quiet neighbourhood the heart of North Tehran close to Vanak Square. Many of the city’s best restaurants, cafés and shopping centers are within walking distance of the hotel. This unique hotel places you in the midst of one of the city’s most lively areas, and will be your gateway to business and pleasure in the city. One distinct luxury of this boutique hotel is thoughtful attentiveness. 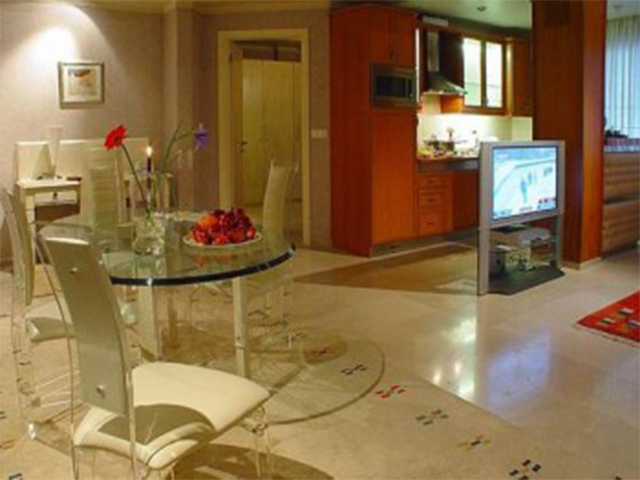 At Abtin Residential Building, nothing is more important to us than the experience you receive. 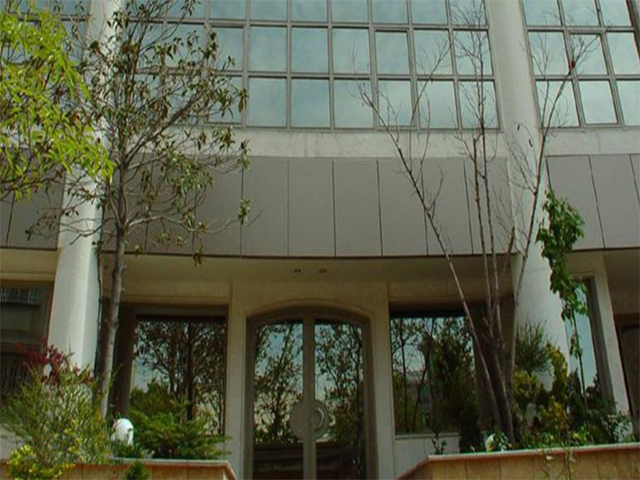 We invite you to relax as you enjoy the very best in Tehran hospitality. 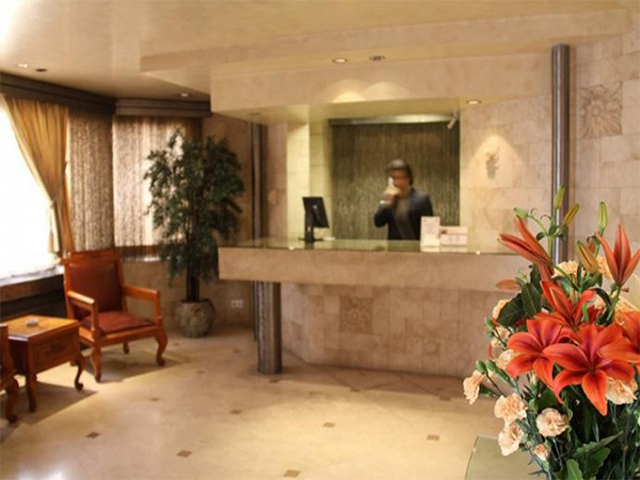 Our dedicated staff are constantly seeking ways to enhance your stay in one of the city’s most elegant and reputable destinations. 20 single bedroom apartments in three categories: standard, Medium and Large, stylishly designed with all the amenities you should expect from a premier hotel with all the character of a boutique hotel. Each floor of the hotel has four guestrooms and contains adjoining suites that can be converted into a two-room suite. Guestrooms are designed with the guests’ total comfort and convenience in mind. All apartments are fully furnished and equipped with: Individually controlled air conditioning, WIFI, 42” television with satellite news channels, DVD player, electronic in-room safe, Executive working desk with telephone Kitchens include a comprehensive range of kitchen utensils, refrigerator, gas stove, microwave oven, electric kettle, washing machine with dryer etc. 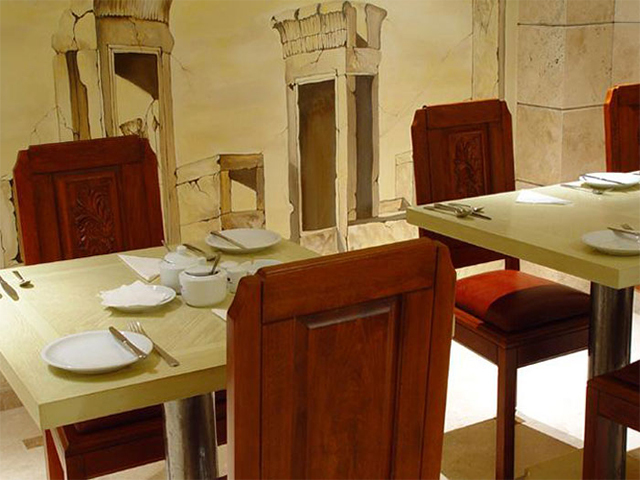 Abtin offers a complimentary international cuisine buffet breakfast. Guests will also enjoy a host of other services and amenities designed to serve every need, no matter how specific. Address:No: 4, Parian, Pardiss St. Molla Sadra, Vanak Sq. Tehran 19919 IRAN.